When I started my coaching journey back in 2011, it was the first time in a long time, I had started anything so completely new. I hadn’t done any study for a long time and I hadn’t put myself in a new community to such a great extent in years. This was a large leap, way beyond the edge of my comfort zone. I remember before I flew to Sydney to start the course that I felt quite nervous. I was unsure what to expect and I hoped that there would be some people that I really connected with. I didn’t know the area where the course was being run and I didn’t know a single other person who had been associated with the coaching school I had selected. All of that being said, I felt excited. I was so ready for something new and being a natural adventurer, I had enough certainty in myself that I knew all would work out well. It feel good to be moving outside my comfort zone. I was looking out the window as we landed into Sydney and I remember thinking “This is the beginning. The beginning of what, well I don’t really know, but I can’t wait to find out”. It was an exciting thought and I was so ready. The reason I share this story is because it was a great reminder for me that a leap of faith is good for the soul. In fact I believe its necessary for the soul. As much as security, safe and comfort are all emotional states that make us feel good, being scared, stretched or uncomfortable make us feel alive and that is really what our very being yearns for, that sense of aliveness. Some people find that feeling closing business deals, some find it by climbing mountains or jumping out of planes, some people find it by joining new groups and clubs. It doesn’t matter how you personally get your fix, its just important that you get it. Prior to taking this particular leap of faith, I spent several years experiencing mild discontent with my working life, a bit of boredom, a bit of apathy and a general loss of interest in my work. Yet, I wasn’t prepared to throw caution to the wind and take any risks. Really, the pain hadn’t become great enough for me to move. That is until the Universe kicked me up the bum through my Mum becoming unwell. My Mum’s illness prompted me to reevaluate what I really wanted to be doing with my time. If my life was going to be cut short, would I have done all the things that I wanted to do? The answer was a resounding no and I was finally knocked into action to take the leap of faith that my soul had been nudging me towards for the last few years. 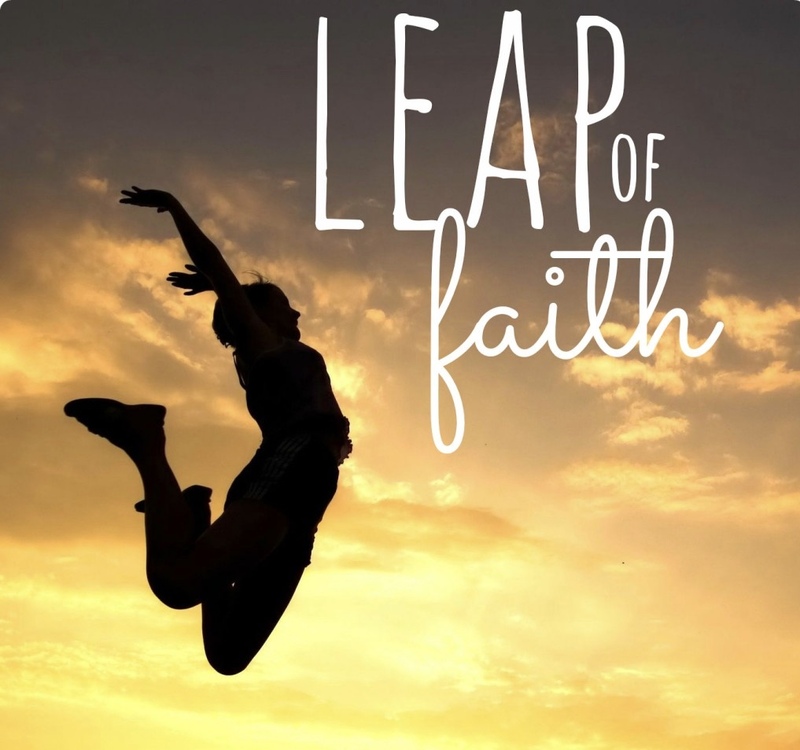 And I learnt a valuable lesson…..
Take those leaps of faith, regularly and often. They are as important to us as water and food and air. Like those things nourish our physical body, the leaps of faith nourish our spirit and grow our soul.